Welcome to the International Hand Launch Glider Festival! The 26th Anniversary and counting! Last year was absolutely tremendous! What an awesome time I had and from the feedback we received everyone really enjoyed the conditions, the very high level of competition and the shear fun of challenging themselves against the Poway beast! We already have confirmation that yet again, Roland Sommer will be coming back. Going for back to back IHLGF victories. Roland tells me that there could be 3 other German pilots coming with him. Mario and Bruno from Brazil are making travel plans. I sure hope they can make it too. I am really hoping that the US Team will show up in full force. It is always good to help them get tuned by giving them your best at this event. Friday is when a lot of pilots arrive and start tuning their gliders and warming up their launches. There will no-doubt be a lively few hours of all-ups to test your models and skills ahead of the main event. He won’t let go…Mike Seid is the IHLGF CD! He always does a great job, and he seems to have fun doing it. Thanks again for running the 26th annual IHLGF Mike. The TPG team along with Adrian Dybwad’s f3k master, ticket printers and clock displays will be back again to make this comp run smooth, so you can concentrate on your tasks. TPG’s own Don Lochead has created some pretty cool wireless speakers. Easy to set up with clear and crisp sound. The field will be the same Poway flight center field as always. As always, we will carry the preliminary scores into the flyoffs. We really like this and won’t be changing anytime soon I predict. As I have written on previous IHLGF welcome pages, the scores brought into the flyoffs do provide an advantage for the high point guys, but there hasn’t been many top preliminary pilots that ended up surviving the flyoffs in 1st place. Leads are seldom insurmountable, and wins from 5, 6th and 9th place happen more often than not. Meals will be catered at the field again this year. Dinners will be available by prepay for Friday and Saturday night. Friday night will be Mexican Food Taco night, and Saturday night will be pizza night and will be provided by Bongiornos New York Pizza and delivered to the field. This will include Cesar salad and garlic knots. Sorry about the late change of caterers for Saturday. Please look for a $4.00 refund due to reduced Sat. meal cost. Lunch both days will be catered by Subway so expect those large party sized submarines with chips, drinks and cookies. See the registration page for these details. Shirts should be available again this year, though as of this writing we don’t have confirmation. Seid usually handles that and he has first right of refusal on the task. Once we have it figured out we will announce on RCGroups and here on the website. Our awesome vendors and sponsors have already started committing some great products and you should soon be able to take a look at the sponsors page and auction items to see what there is bid on. If you see something you like, come prepared to bid. You will most likely get the product at a deep discount while at the same time adding money to the donation that the TPG gives to the US F3K team every year. We always have great stuff donated by the top vendors in the industry! Our thanks again to our sponsors for supporting the contest. 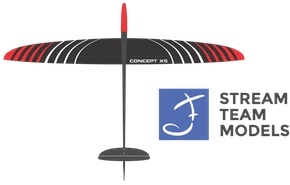 TPG will again make a significant donation to the US F3K team fund. We are planning yet another large donation to the F3K team this year, and we are still unsurpassed in our contributions to the US F3K team. 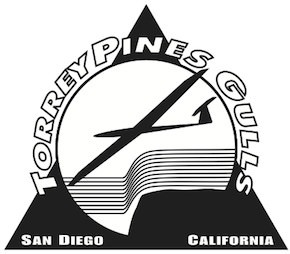 No organization other than the AMA has contributed more cash that the Torrey Pines Gulls through the fundraising associated with this event alone, and it’s all because of you. Please help us continue this noble effort for a very worthy cause. Safe travels to you all. All of us at the Torrey Pines Gulls look forward to seeing you DLG’ers here in Poway this April. It will be a fun and challenging competition as always. Please go to our registration page and sign up on or after February 15th, 2018. You can find a list of hotels and motels nearby on the lodging page.